As a USA based company, LanguageTran provides English translation services to businesses, government agencies, universitiesand individuals. Whether you need to translate your documents for the American, British or Australian markets or you need to translate into other languages for your overseas interests, LanguageTran is the easy choice. Producing well-written and accurate English translations requires highly educated and qualified linguists that understand the nuances of the foreign language, are excellent English writers and have the right tools to deliver consistent copy. 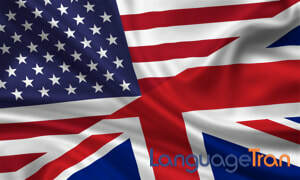 Our English translators are native speakers that are professionally trained and have years of experience. The importance of the English language cannot be understated because it is the language of choice for international business, diplomacy, science and other fields. It is the primary language of about 375 million people and is the secondary language of about 375 million. One out of every four people in the world speaks English in varying degrees of competency. In terms or written electronic publications 80 percent of the world’s electronically stored information is in English. Currently, about 80 percent of Internet users communicate in English. Any company trying to reach the global marketplace must have effective English language communications. Why LanguageTran English Translation Services? We have a world-class team of professional English translators, editors, and linguists to offer the service you’d expect when hiring an English translation service. Our translators and proof-readers are selected based on extensive testing, language proficiency, experience and professional credentials. In addition, most of our team members have additional credentials in the legal, technical, medical and marketing fields. Accuracy in English translations is an important quality benchmark for us. Your work must be translated correctly to ensure and well written in English so that your information is properly conveyed and comprehended. This is particularly important for legal, technical or medical documents where accuracy is critically important for proper interpretation. Our translation agency follows stringent translation, proofreading, editing, and formatting protocols to provide an exceptional English translation service. All translations are cross-checked before they are completed. Our goal is to produce excellent English translations that will read as if they were originally written in English. Sometimes English translations can be challenging because the written form, spelling, and idioms can greatly vary from one English speaking country to another. We strive to produce documents that can be easily understood by your target audience. Thus, if you need to communicate with English speakers in a specific geographic location, we will work accordingly to write in the proper English dialect.